Clean eating is an important component of maintaining a healthy lifestyle. Eat LOTS of vegetables, fruit, healthy fats and proteins. Avoid pre-packaged foods, refined sugars and refined grains. In general, try to eat food that is as close to it's natural form as possible. Often, this is easier said than done! With busy schedules finding the time to prepare clean meals can be a challenge. We're struggling with Andrew (our main chef) back at school! Our solution? Make lots of food Sunday night. Package it all up in serving size containers so we can just grab-and-go throughout the week. Here's a sample of an Ebbers' Sunday night cooking session. 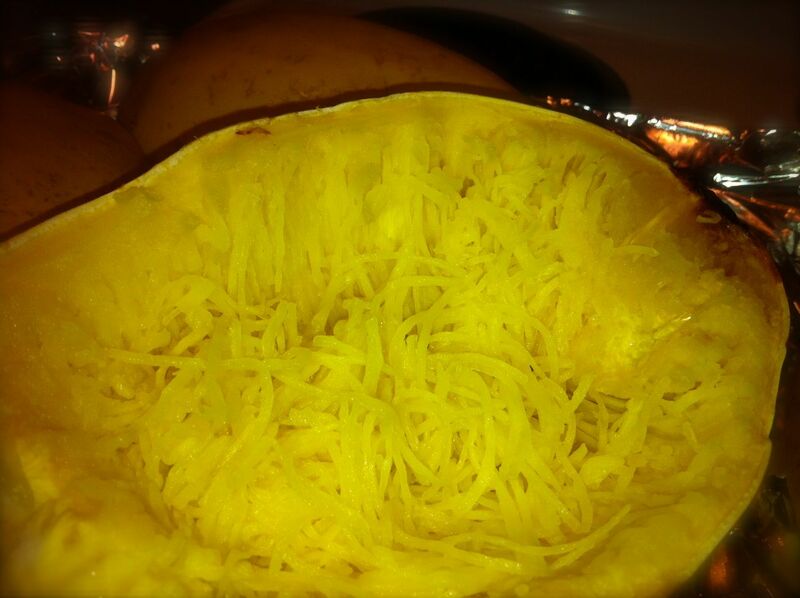 Spaghetti Squash and Pork Chops or which ever meat is on sale at our butcher. Quinoa and Meat Sauce with as many vegetables as possible, using old vegetables and grating the ones we know are good for us but don't like - even broccoli stems! Herb Salad Mix, Baby Carrots, Grapes, Melon, Nuts, Broccoli and Cauliflower. What are your favourite go-to meals? love this! :) I make a huge thing of quinoa at the beginning of the week, I use a cup of it to make salads for lunch etc. 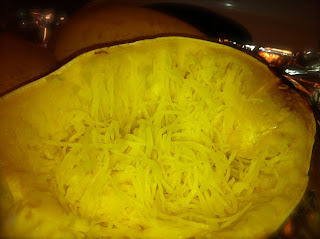 and then use it for other meals during the week - it's so versatile!